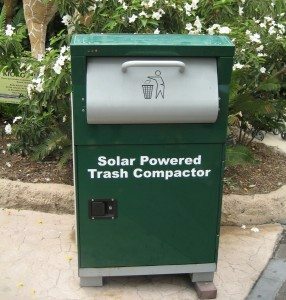 We can all thank the sun for making trash disposal a more eco-friendly task; and while we’re at it, we can also thank the creators of BigBelly Solar Trash Cans. 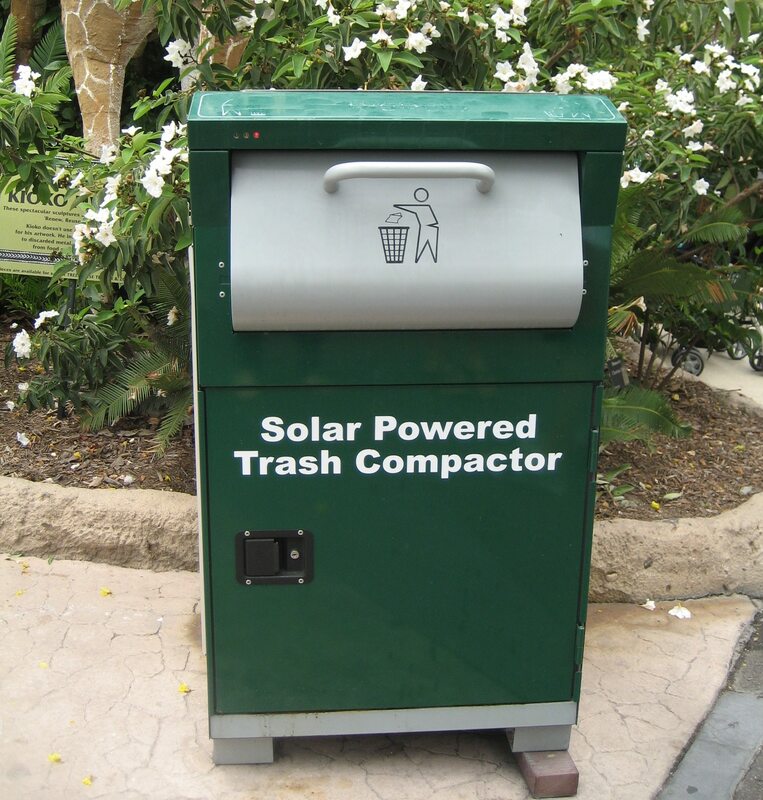 These solar powered beefy looking trash cans are sprouting up on street corners in several metropolitan areas with goals of being more cost, time and energy efficient. Cities such as Philadelphia, Boston, Los Angeles, Chicago and Seattle are leading the way in introducing city-goers to BigBelly. With the ability to sense when it is full, the trash can is able to compact its contents, reducing the size of trash by 80 percent. Once compacted, the cans are able to hold about 150 gallons of waste. Philadelphia alone is burdened with roughly 30 to 40 tons of trash each day in its downtown area. With the BigBelly trash cans the city installed (it replaced 700 traditional trash cans for 500 BigBelly cans), Philadelphia can expect to reap great rewards: the ten-year estimated return on investment is 13 million dollars. They’ve also reduced the number of times trash needs to be collected from 17 to five times a week, which results in less fuel being used by garbage trucks and less air and noise pollution. BigBelly not only uses solar panels to power the compacting system, but they also have internal computers that are programmed to send a text message to alert city workers when they need to be emptied. Sounds like a great way to handle a dirty job. The cost up front, however poses an obstacle for money-tight cities. Each BigBelly costs roughly $3,800, and compared to the $125 dollar traditional trash cans, many are hesitant to commit to the steep price increase. But for those willing and able to endure the initial cost, the return on investment comes around in roughly three years and eliminates the costs of frequently replacing traditional trash cans. There is also a concern for people not recognizing BigBelly cans and instead using the traditional trash cans. But if the statistics prove true, major cities with BigBellys may be paving the way to a greener way of disposing trash in more locations in the future. Other areas we’ve seen these cans are at the San Diego Zoo, Arizona State University, the Portland Oregon Zoo and the Bergen County, N.J. Parks Department.